Whilst browsing on the Alopecia social networking site www.alopeciaonline.org.uk sometime in April 2011, i stumbled across an advertisement posted by two students of London College of Fashion, Ann-Marie Mays and Peter Berckowich. 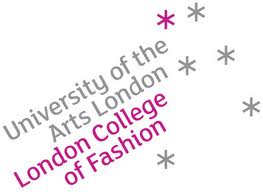 “We are mature students studying a foundation degree in Hair and Make up for Film and TV at the University of the Arts, London College of Fashion campus and will be graduating this year. I duly replied and was selected as the candidate for the project! Since meeting with Peter and Ann Marie we have spoken in great depths about Alopecia; how i deal with the condition, the psychological implications of living with alopecia and of course wigs and how i feel about wearing them. They have decided to make two wigs. The first is to be custom made to fit the shape and size of my head. It is being made with the idea of being able to make me feel the best i possibly can when wearing the wig. I have to state my expectations of the wig and Ann Marie and Peter have to try to meet all my criteria! The second wig is going to be of an artistic/creative design depicting the psychological feelings involved with wearing wigs and living with Alopecia Universalis. I am very excited about both pieces equally!! and i cannot wait to see the finished designs and try them on. Peter and Ann Marie are working to a very tight schedule so they only have one month to design and create both wigs. The deadline is 11th June and there will be a photoshoot taking place at the end of the project. Previous post ← “Cure” for Diabetes?